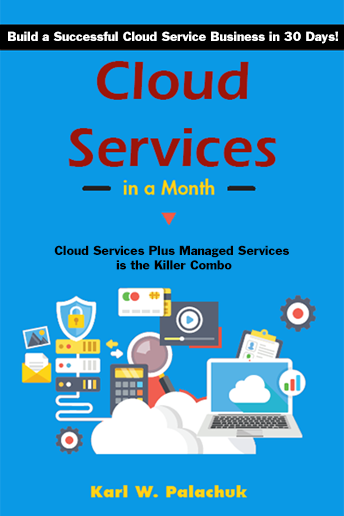 Cloud Services in a Month – FREE to Members! When I create something new, Community Members will receive it at no additional charge. I am proud to announce that the “writing” part of Cloud Services in a Month is complete. It’s just over 300 pages, plus lots of juicy downloads. Immediate Offer for Community Members: If you would like to get an early copy and be an official proofreader, please email karas@smallbizthoughts.com and put “Proofreader” in the subject line. Just agree to send us any problems you see. I have sent the draft to an editor and my paid proofreader. In an ideal world, we will have the PDF version of the book ready to distribute by April 30th. At that point, it will be available for all members to download inside the community, zipped up with all the handouts. Assuming we make that target, it should be available on Kindle by the end of May. And if we’re super lucky, the physical printed book will be available by the end of May as well. That might be pushing it. You see, after it gets laid out in print format, all the editing and proofreading has to start again. The audio book will be out at some point in 2019.